According to the American Cancer Society¹, the most common type of cancer that occurs in women is breast cancer – and it’s a cancer that’s on the rise. 266,120 more people will be diagnosed with breast cancer this year, Breastcancer.org² reports, and one out of every eight U.S. women will develop the disease at some time during their lives. Fortunately, there are effective treatment options. Breast cancer can be fought, and the following are some of the best treatment options available now. While breast cancer may be prevalent in women of all ages, it can be a tricky disease to find. Most commonly, the only sign of breast cancer’s presence is a lump or mass. And while it’s possible to feel lumps or masses in your breasts, other changes in your health can also be signs of breast cancer. Knowing these signs and symptoms of breast cancer will allow you to notify your doctor as soon as changes happen. Catching breast cancer early on can improve your prognosis, and it can also help dictate which treatment is right for you. Now that you’re aware of these common symptoms, learn more about the currently available treatment options. There are two surgical options to treat breast cancer: lumpectomy or mastectomy. A lumpectomy involves the removal of the cancerous tumor and some surrounding tissue and is followed by radiation. Lumpectomy surgery is appropriate for women who only have cancer at one site and who want to save the breast that contains cancer. A mastectomy is the complete removal of one or both breasts. It is the most appropriate treatment for breast cancer for women who have cancerous tumors at several different areas, tumors above 4 cm in size, and women who are anxious about the possibility of the cancer returning. According to the Mayo Clinic4, radiation therapy uses intense energy beams to kill cancerous cells. In most cases, doctors use X-ray beams for radiation treatments, but they might instead opt for protons. After you have a lumpectomy or mastectomy, you’ll receive radiation therapy to kill any remaining cancer cells. A study reported by Breastcancer.org5 found the same dose of radiation that used to be administered over five to seven weeks can be safely given over a period of three to five weeks instead, greatly shortening the duration of the treatment. This type of radiation treatment is called hypofractionated whole-breast radiation and is safer and has fewer side effects. Chemotherapy is a very common treatment for breast cancer. This involves taking cancer-killing chemicals either intravenously or in pill form. It may be administered before surgery to shrink the tumor, and it may also be used after your surgery to kill remaining cancer cells. However, undergoing chemotherapy comes with many side effects. The disadvantages of chemotherapy might make you want to try alternative treatments instead. According to the American Cancer Society6, some types of breast cancer cells have receptor sites where estrogen attaches. These cancer cells use estrogen to grow and spread; hormone therapy may be recommended. It’s only recommended for women with the types of breast cancer that feed on estrogen, but it isn’t useful for women whose breast cancer cells don’t contain these receptors. An estrogen-blocking drug may be prescribed to prevent cancer from returning after remission. Targeted therapy for breast cancer involves drugs developed to target growth factors on certain types of aggressive breast cancer cells. A particular targeted therapy may be appropriate if your breast cancer is one of those types. If you have HER2-positive breast cancer, hormone receptor-positive breast cancer, or have the breast cancer gene, you may benefit from targeted therapy. This involves taking a medication that targets the specific growth factors of your type of cancer by blocking what causes your cancer cells to grow. In HER2-positive breast cancer, the drugs target an excessive growth factor that covers the exterior of the cancer cell and blocks it, causing the cancer cell to die. With hormone receptor-positive breast cancer, the targeted drug blocks the receptor sites so growth is slowed. In people who have the BCRA gene mutation, the targeted drugs may help to repair the mutations inside of the cells. Receiving a breast cancer diagnosis can be frightening — fortunately, more people than ever are surviving breast cancer by getting the appropriate treatment. To find the best type of treatment, you should conduct your own research online and discuss options with your oncologist. The treatments most appropriate for you will depend on your age, the stage of your cancer, your overall health, and other factors. By staying informed about the latest treatment options, you’ll be able to better handle your diagnosis and choose the right path to potential remission. 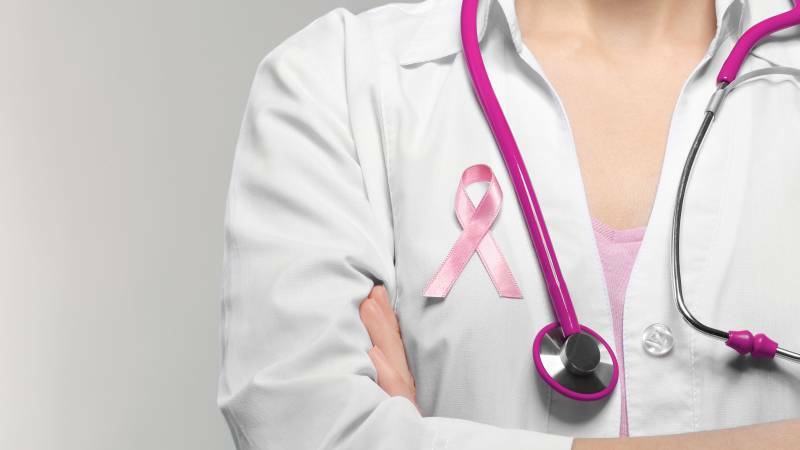 Interested in breast cancer treatment options? Start a search today.